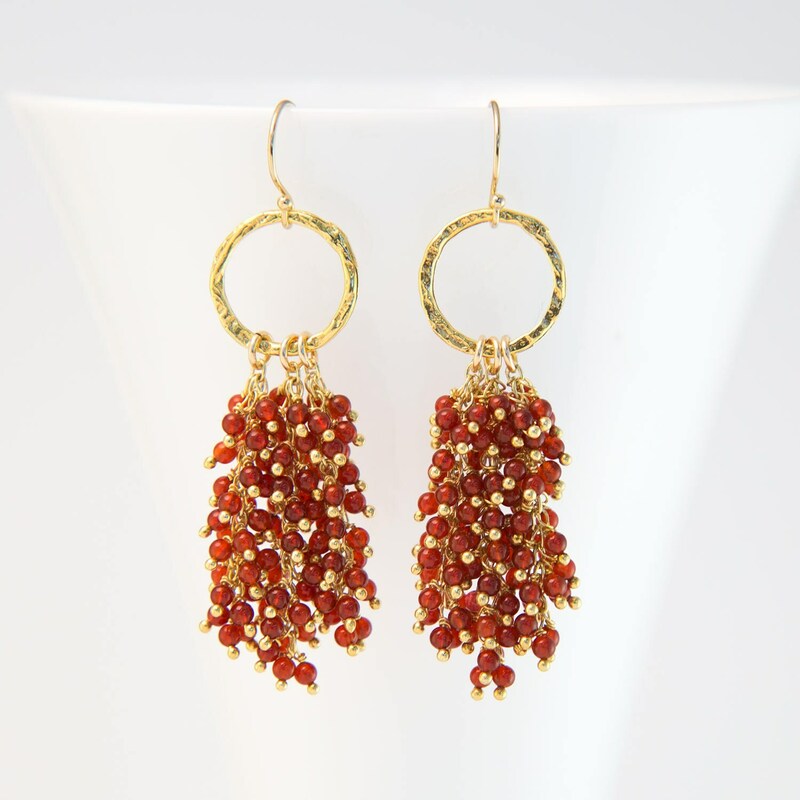 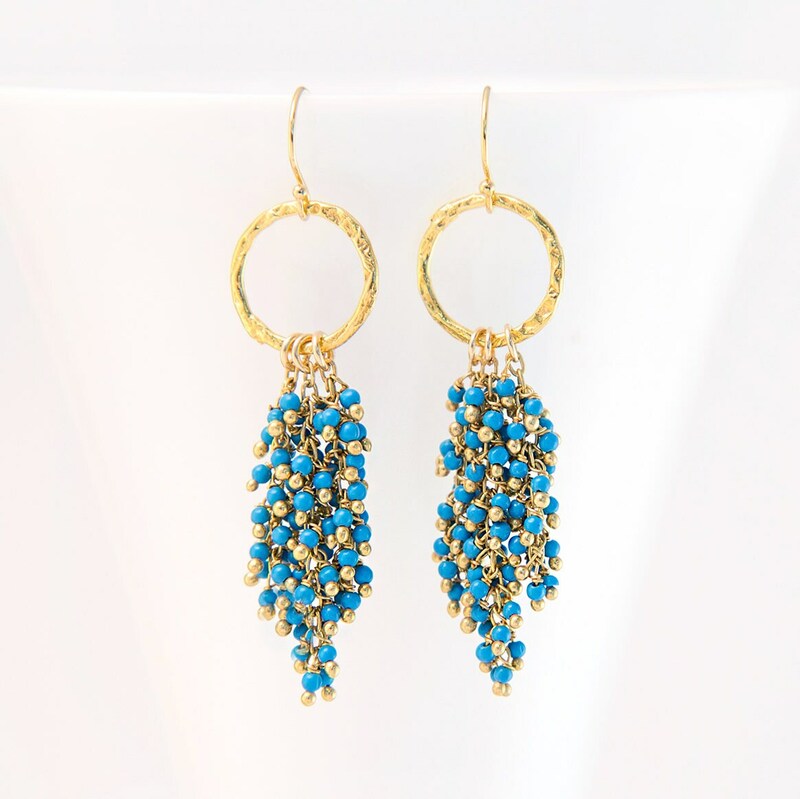 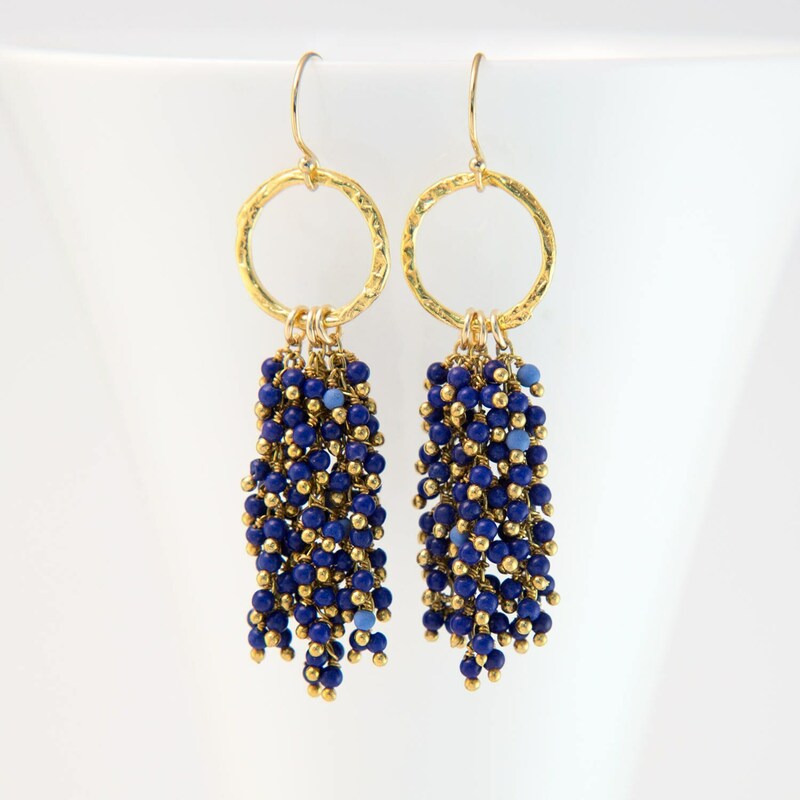 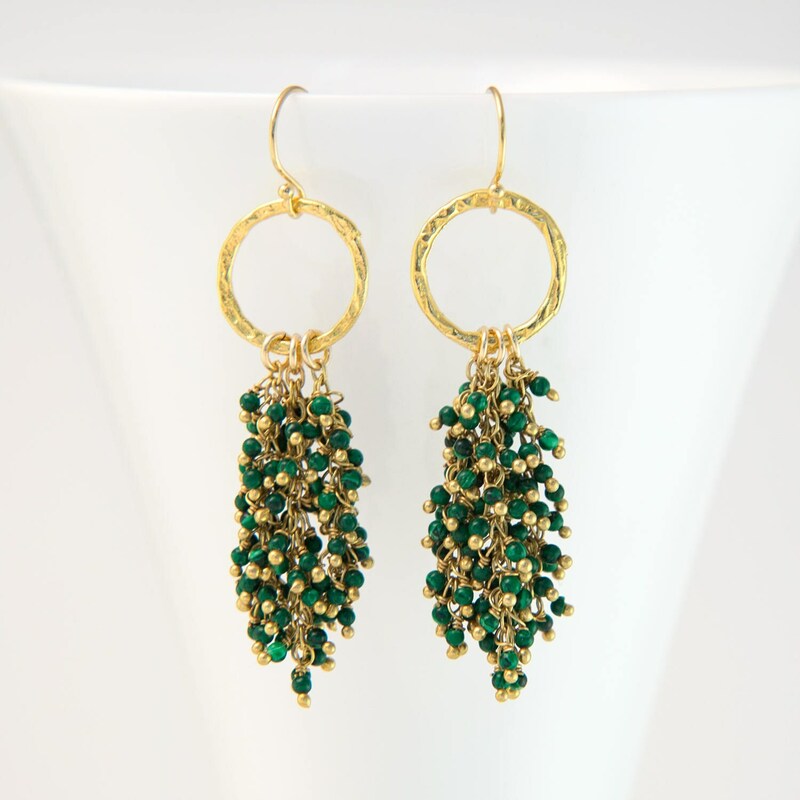 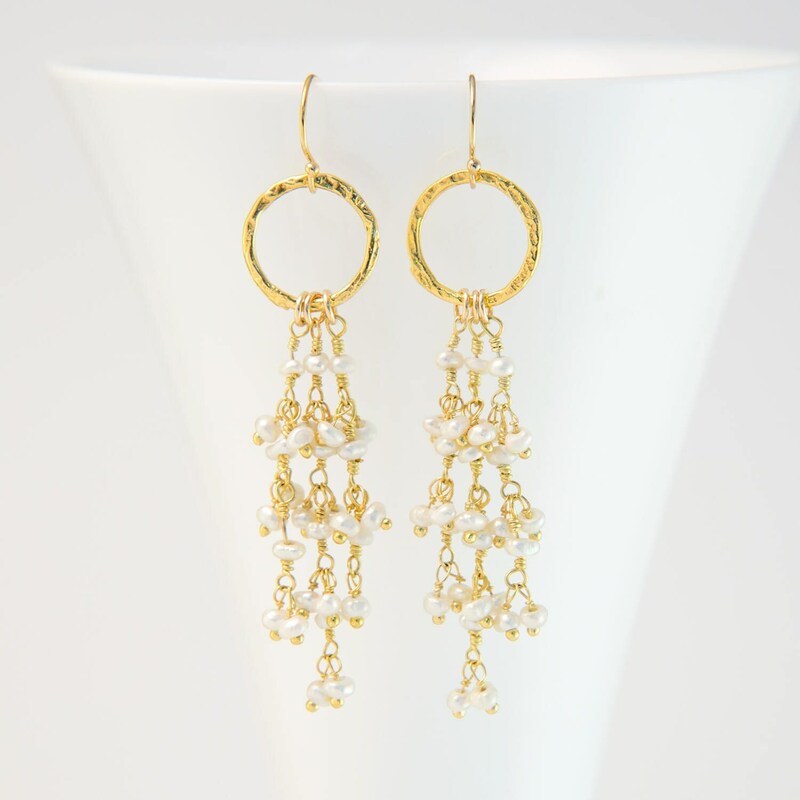 These earrings feature an intricate cascade of beaded gemstone strands dangling from an 18k gold vermeil hammered hoop. 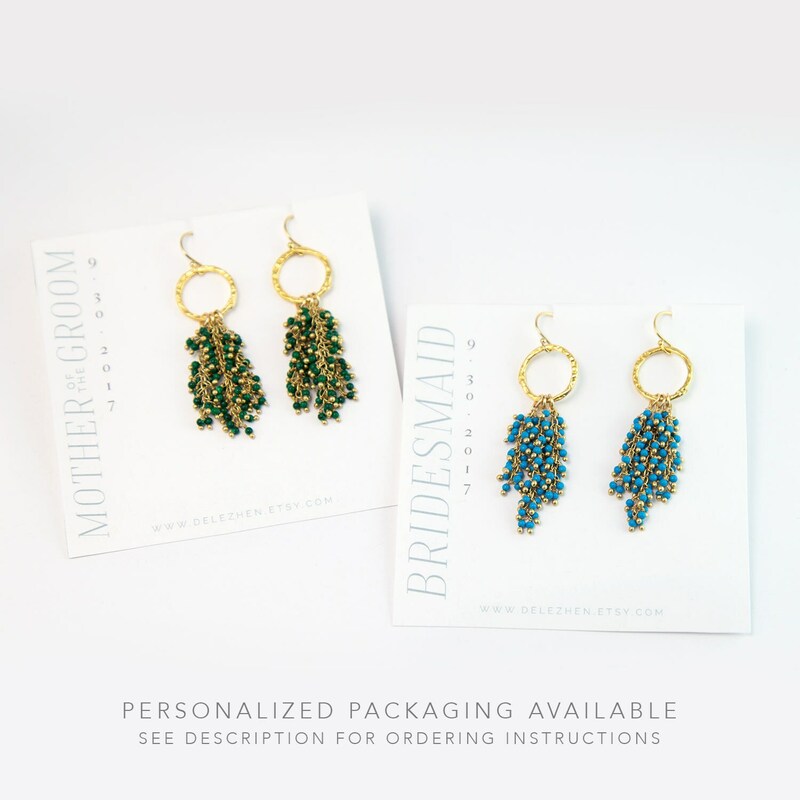 These make the perfect gift for your bridesmaids to wear during your ceremony. 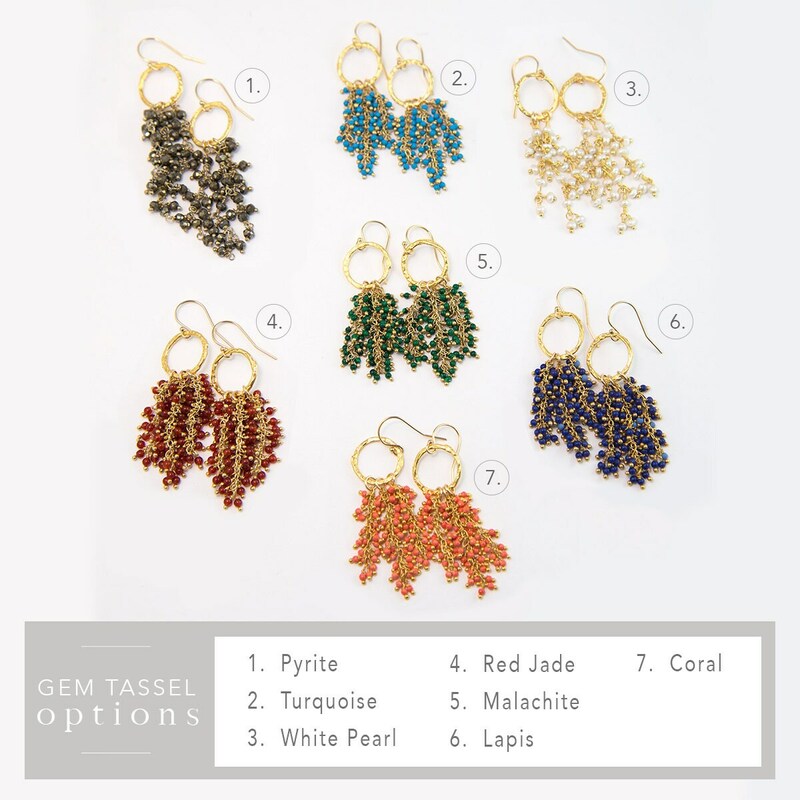 Available in 7 different color options- match the stones to the theme of your wedding for the perfect pop of color. 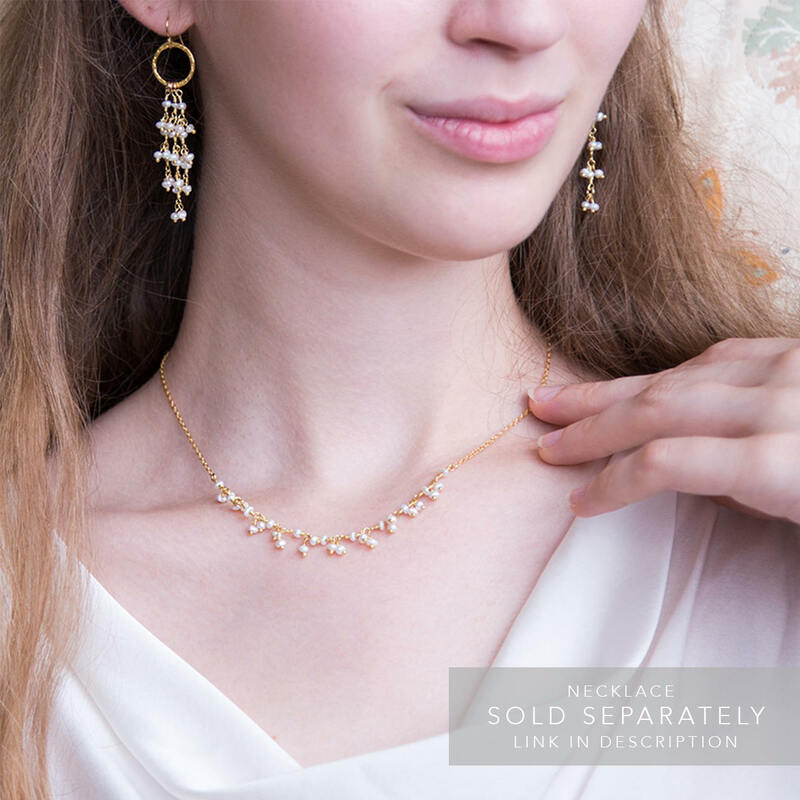 • In the "NOTE TO DELEZHEN" section at checkout, please include the date of your wedding, the recipient's name OR their role in your wedding.